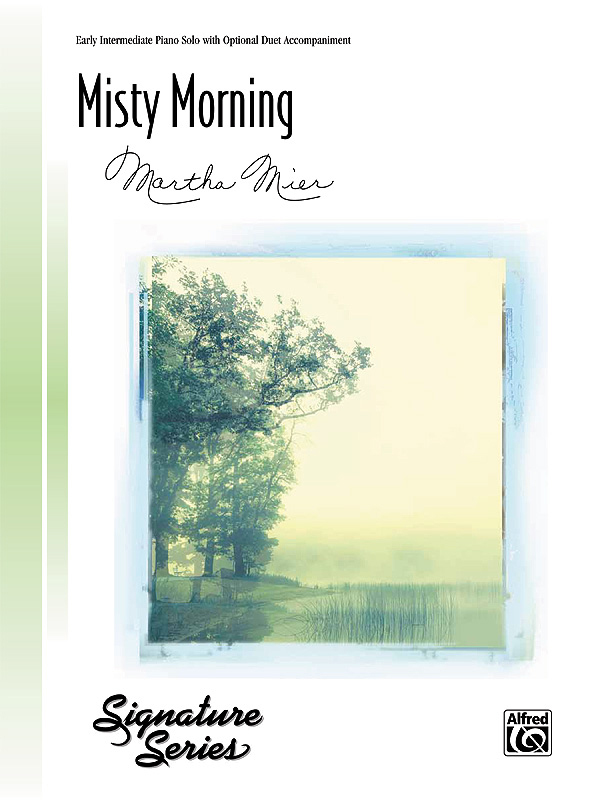 * Misty Morning is a nostalgic piece in 4/4 meter and C major that uses a simple, but engaging, melody to transport students to a tranquil landscape. * The long, flowing lines of the A section contrast sharply with the B section that utilizes light staccato fifths in the left hand. * This moment of dark contemplation transitions back to the beginning through the highly effective use of dynamics and ritardando. * This solo is perfect for students wishing to paint a charming portrait with their performance and can also be performed with an optional duet accompaniment.